K & G Limousine reliable limousine services provider in Uniondale NY 11553. At K & G Limousine, we are committed to providing the best limo service Uniondale has to offer. No matter what the occasion, our classy and talented chauffeurs are ready to transport you there in luxury and style. We are proud to be able to provide our customers living in Uniondale with phenomenal limo service. No matter the occasion or season, our limousine rentals are perfect for you and your group’s transportation needs. K & G Limousine is Uniondale premium provider of limousine and Party Bus service. We provide our clients, with a truly unique limousine experience. Need to get dropped off Plane at Airport or picked up from All Major Airport in New York and Long Island? Uniondale Hire Car and Limousine Network are at your service.Offering a vast fleet of luxury transport options we can transport groups of any size. Depending on your occasion you may want to create a grand and luxurious ride to or from the airport. If so our stretch limousine and Mercedes Sprinter Van, Cadillac SUV Executive options are for you. These vehicles are highly impressive.S tart your journey in style with an airport limousine in Uniondale from K & G Limousine – K & G Limousine name in luxury ground travel. Nothing says luxury quite like a limousine, and K & G Limousine has a reputation for excellence when it comes to providing JFK Airport limo transfers. We believe that the start of your journey is every bit as important as your flight, which is why we want to get you to the airport in smooth sophistication and comfort. K & G Limousine provides Limo and car services from Uniondale to Manhattan and Manhattan to Uniondale. We are the best in Uniondale NY area. Weddings are a vast event for the whole family. You’ve ordered the flowers and scheduled the ceremony. And of course, you want to ensure that the bride and groom, as well as family and friends, arrive in manner! Uniondale Limousine Services provides wedding transportation in Uniondale Area and we’d love to help you with the perfect selection of Fleets for your event. Choose ours varies collection of vehicles, minibusses and much more. We can handle all of your transportation requests, In addition to the Beautiful limo for your special day, we can provide transportation for any of your events or pre- or post-wedding needs. Our highly qualified staff will treat you like royalty during the special event. Nothing is too much difficulty to ensure that your wedding events are carried through without a hitch. Uniondale Prom Limo makes provisions for luxurious limousines which you can hire to Drivers your friends and your special date to the prom venue. At www.kglimo.com you can take your Choose among the many limousines we have and find that special abode to make your evening extra special and memorable. At Uniondale Prom Limo, you will never run out of options. We can provide you with SUV limos, stretch and super stretch limos, classic town cars and party bus limousines on request. Arriving and leaving in style is what you want to do and with Uniondale Prom Limo Service, this is what you will get to do. Stepping out of a Uniondale Prom Limousine and stepping into one is sure to make a very impressive statement at your prom. So, go ahead and make your reservations with K & G Limousine right away, so that you can use the rest of the days ahead to plan every other detail to make the prom night special. As for chauffeuring you to prom that’s our responsibility. Birthdays are one of the most Fantastic days, which take place only once a year and party bus in Uniondale can make this day a memorable one. The wedding party bus when hired makes your birthday even more Special and makes your family and friends happier like never before. 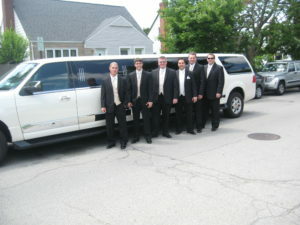 Our limo prices are not too expensive as the service is outstanding so are the facilities offered. You can enjoy the birthday of your loved ones with style.